Cloudy. Low 48F. 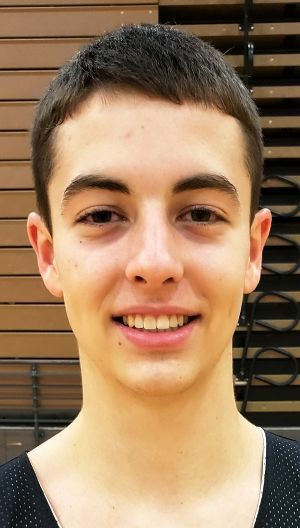 Winds light and variable..
NORMAL — The Normal West High School basketball team displayed an impressive second-half defensive effort Tuesday night, holding Mahomet-Seymour without a fourth-quarter score until the 1:35 mark in a 58-51 nonconference victory. A 3-pointer by Normal West’s Shea Cupples at the 2:25 mark in the third broke a 39-39 tie. Cupples led the Wildcats with 17 points, 15 of which came in the second half. Each team was held scoreless for the remainder of the quarter. An 8-0 run to begin the fourth quarter put the Wildcats ahead 50-39 with 2:55 remaining. The Wildcats elected to run the clock down, as the Bulldogs struggled to get the ball back. Mahomet-Seymour’s first point of the fourth period came on a Cole Lener free throw with 1:22 left. Two treys by Braden Finch cut it to 57-51 with 25.3 seconds remaining, but it was not enough. Free throws from Shea Cupples and Alec McGinnis sealed the deal for the Wildcats. The Bulldogs scored the first bucket of the game and led almost the entirety of the first half. Two free throws from Connor Kamphaus gave them a 9-4 lead with 4:22 remaining in the first quarter. The foul was the second on Normal West starting center Corey Walker, prompting a bench call to 6-foot-7 junior center Tyler Calhoun. Calhoun gave the Wildcats an offensive spark, scoring five of their next seven points. He added two more of his 10 points to begin the second period to cut the Bulldogs’ lead to 16-13. Despite 13 first-half points from 6-7 center Grant Coleman of the Bulldogs, the Wildcats took their first lead at 24-23 on back-to-back post scores by Evan Hutson. Two more buckets from Hutson gave the Wildcats a 28-27 halftime advantage. Hutson finished with 12 points. NORMAL — If ever there is a welcoming scenario for a letdown, a late-season nonconference game against an under .500 opponent is it. Get news from The Pantagraph delivered directly to you with our email newsletters! Sign up to get convenient updates delivered to your inbox. Enter the Mother Like No Other Sweepstakes! Enter for your chance to win this amazing prize package, with a total value of $400! Carl Sandburg College is now hiring for full-time faculty positions!